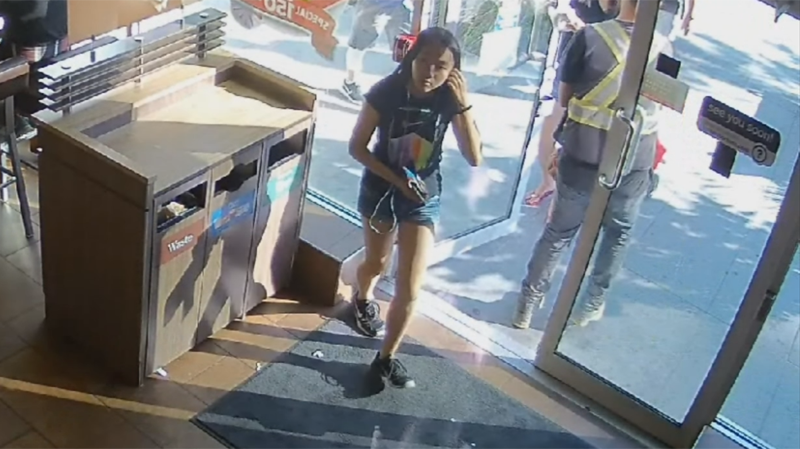 Six months after 13-year-old Marrisa Shen was found murdered in Burnaby, B.C., police have released new surveillance video in the hopes of pushing their investigation forward. "IHIT realizes the high degree of public interest in Marrisa's murder," Cpl. Frank Jang said at a news conference. "We are all invested in this case, and in an effort to maintain and enhance public interest, our investigators wanted one place where the public can access information and any ongoing updates." The new surveillance video, captured inside a Tim Hortons on McKay Avenue, was taken shortly after 6 p.m. on July 18, 2017. It shows the teenager, who was weeks away from starting high school, walking into the fast-food restaurant alone and politely holding the door for someone who was leaving. She spends about 90 minutes inside before walking out by herself. "This is the last time that we believe Marrisa is seen," Jang said. Her body would be discovered less than six hours later in Central Park, a large greenspace located just across the street from her family's apartment. Shen's family described the half year that's passed since her murder as "gut-wrenching." "There hasn't been a single day without something reminding us that Marrisa isn't here anymore," her brother, Peter, told CTV News in an email. "We miss her desperately and we pray that she is resting in peace in heaven. We hope that the police will find the person responsible soon and find out why he would do something like this to an innocent teenage girl." Unfortunately, despite their tireless efforts poring over thousands of hours of video and investigating hundreds of leads, police have yet to identify or arrest a suspect. Jang said IHIT does have a "list of people" that investigators believe have information on Marrisa's murder, but he could not elaborate. "My priority and the priority of our investigators is to maintain the integrity of the investigation," he told reporters. "I'm asking anyone with information on the murder of Marrisa Shen to please come forward." 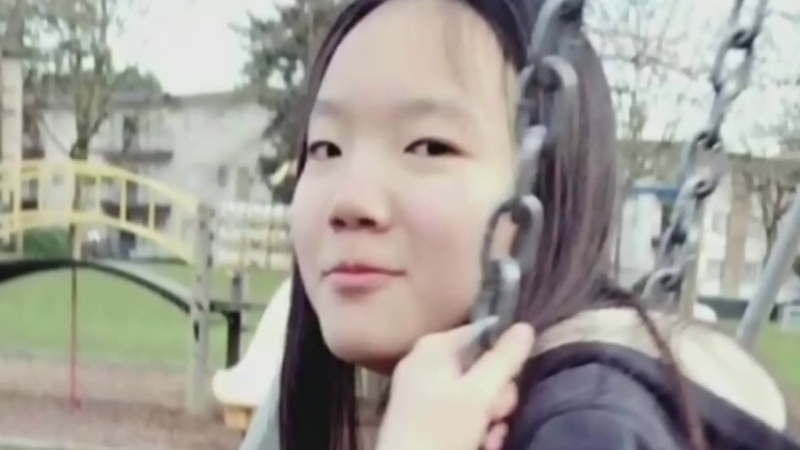 Shen's murder, which was apparently committed at random, shocked people across the Lower Mainland, and put parents in particular on edge. Anyone who saw the teenager or has information on her killing is asked to call IHIT's tip line at 1-877-551-4448, or Crime Stoppers at 1-800-222-8477.